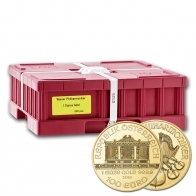 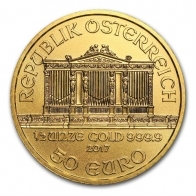 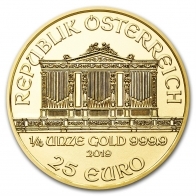 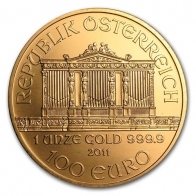 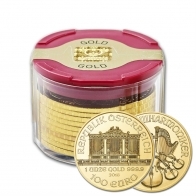 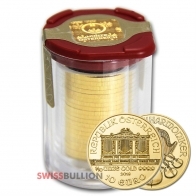 Austria produces several gold bullion coins, the most famous being the Austrian Philharmonic gold coin. 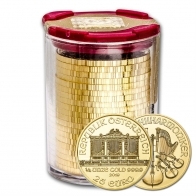 The Philharmonic gold coin comes in 1 Ounce and fractional ounce sizes, and can be purchased individually or on wholesale tubes. 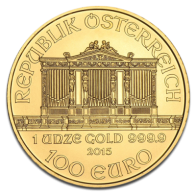 Also available are Austrian Ducat gold coins. 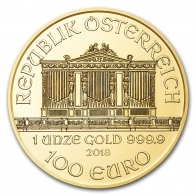 Austrian coins are available in gold, silver and platinum. 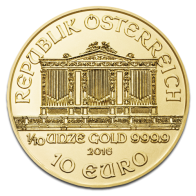 Gold philharmonics may be purchased for VAT-exempt Swiss storage or worldwide delivery, and may be purchased via bank transfer or via Bitcoin.